Knits are intimidating to many people, but when I first learned how to sew I was determined to master them. "If I can't make a t-shirt, what's the point?" I thought. Now, knits are my absolute favorite, and I LOVE sewing them. Along the way, I've learned a lot of ways to finish knits, and I thought it would be helpful to do a series of mini-tutorials on that topic. After all, the finishing details are what can make or break a project! 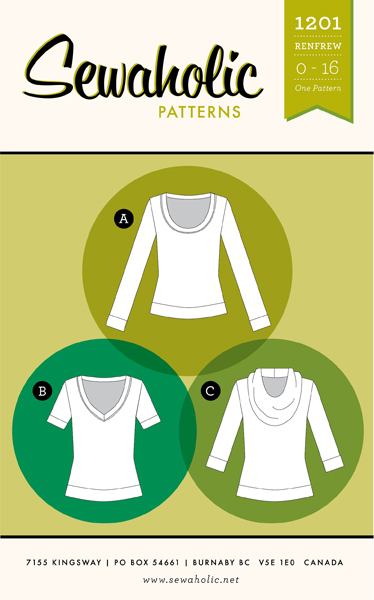 Believe it or not, all the garments in the above photo have a different neckline finish! 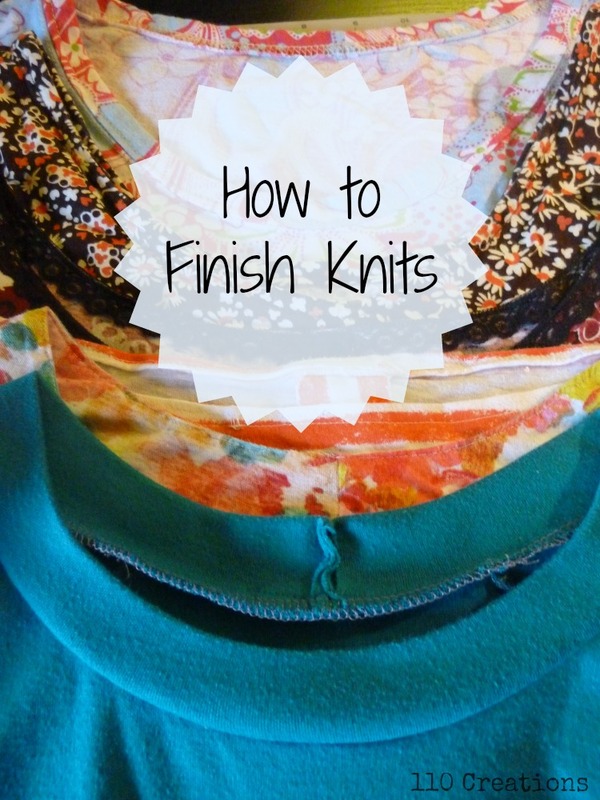 To be clear, when I discuss "finishing" a knit, I am referring to a neckline, armhole, sleeve, or hem. I'm NOT referring to seam allowances. Today we'll start with the most common finish, what I will call a knit band. A band is appropriate for almost any opening in a knit garment, with the exception of a waistband, where you would need elastic to overcome gravity. The ever-popular Renfrew pattern by Sewaholic is an example of a t-shirt which is finished with bands on the sleeves, hem, and neck. The length of the band is generally slightly smaller than the opening to which it is attached. 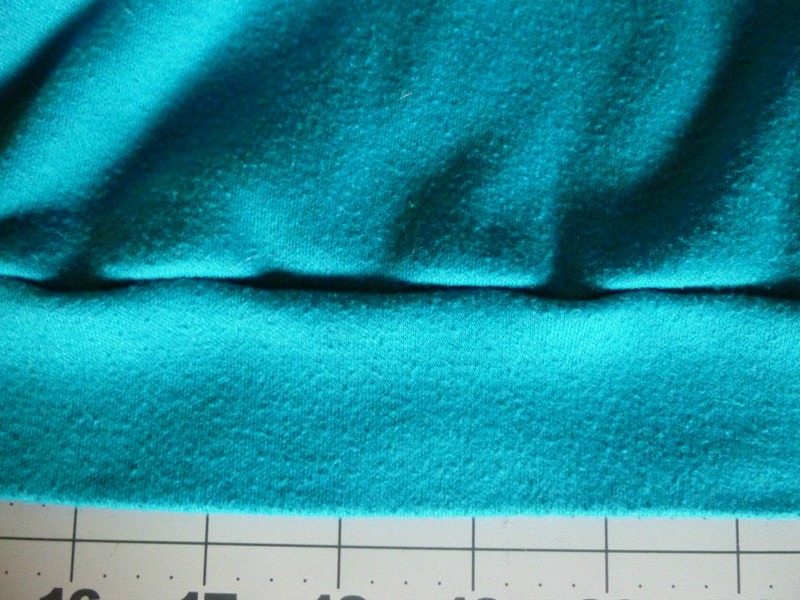 The exact dimensions are usually given in the pattern (or there is a specific pattern piece), but the length may need to be adjusted based on the amount of stretch in the fabric. 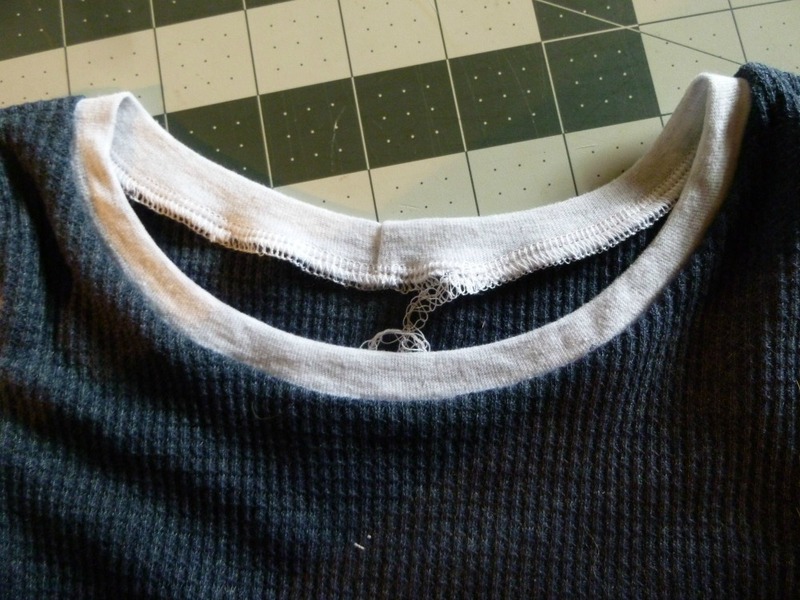 A very stretchy knit like ribbing can be cut a lot smaller and be stretched to fit as you apply it. So how do you apply it? Cut the piece as directed by your pattern. WRONG sides together, fold your piece in half with the long raw edges together. Press. At this point, there are two methods for attaching. The first is called "in the flat" and the second "in the round". 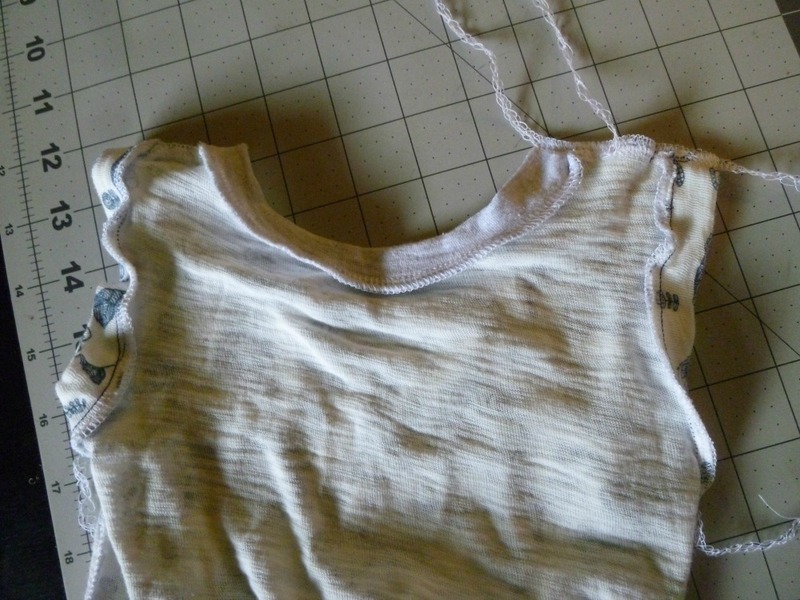 Either method can be done with a sewing machine or serger. 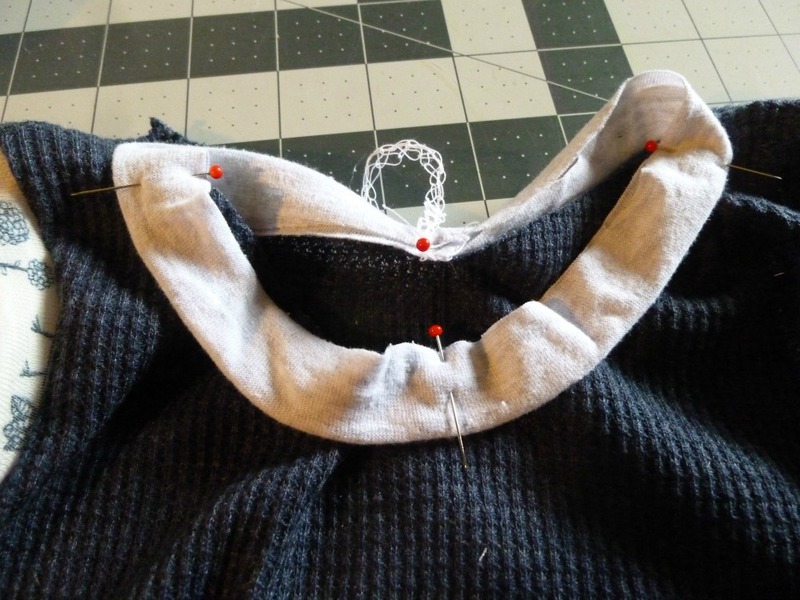 "In the flat" means that the garment opening is not a complete circle, for example one shoulder seam isn't sewn in a neckline, or the underarm seam hasn't been done yet. You align the start of the band with the start of your opening, apply equal stretch to the band along the opening, and sew. 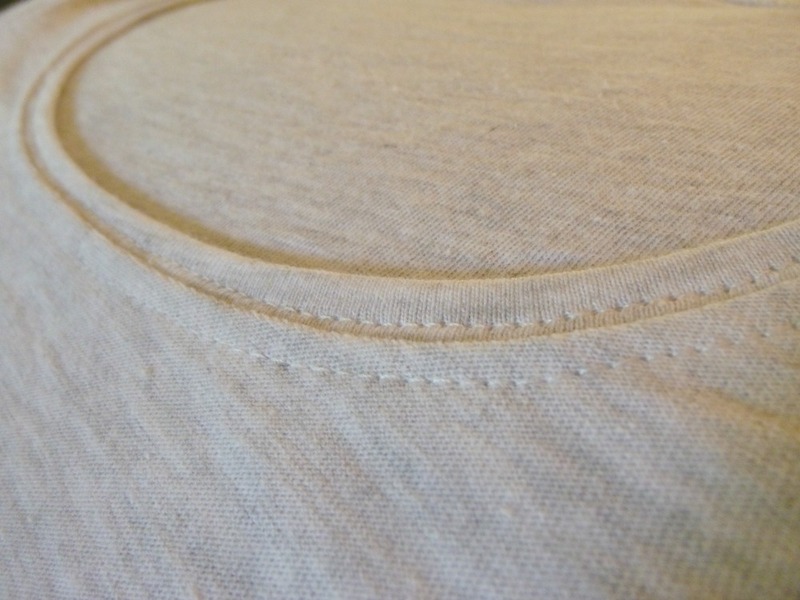 "In the round" means that the opening is a complete circle, for example a closed neckline or finished sleeve. The band is also sewn in a circle and then pinned evenly around the opening. When sewing in the flat, I tend not to use pins except at the beginning and the end (if that). I use my hands to control the stretch as I go. This is definitely a method that benefits from experience. After sewing a lot of knits, you can tell how well the band is stretching (too much or too little) and adjust as you go. 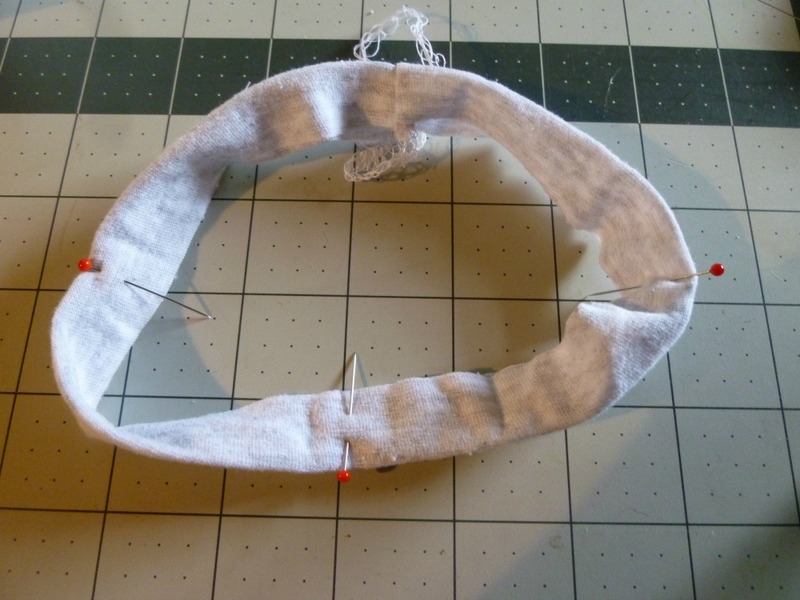 When sewing in the round, you use pins to "quarter-mark" both the band and the opening. Place pins at the center-front, center-back, and halfway between each. Do the same with the band, then match the two. 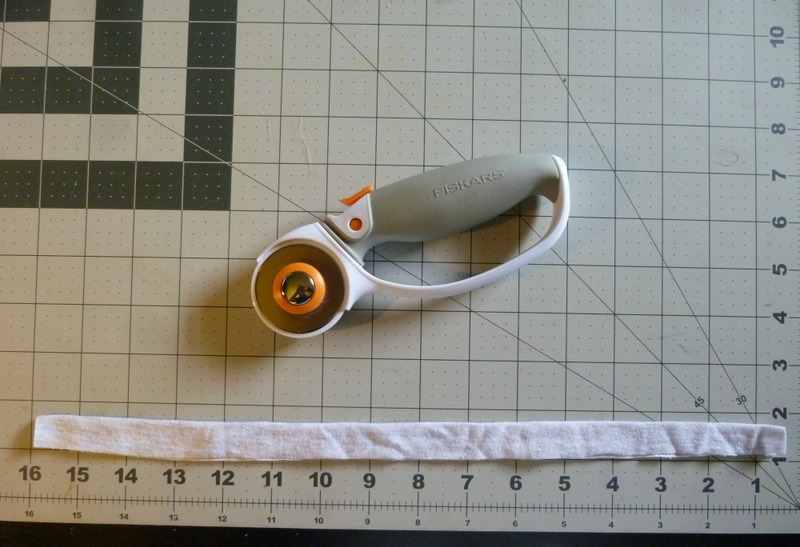 This allows you to evenly stretch the band between each quarter as you sew. 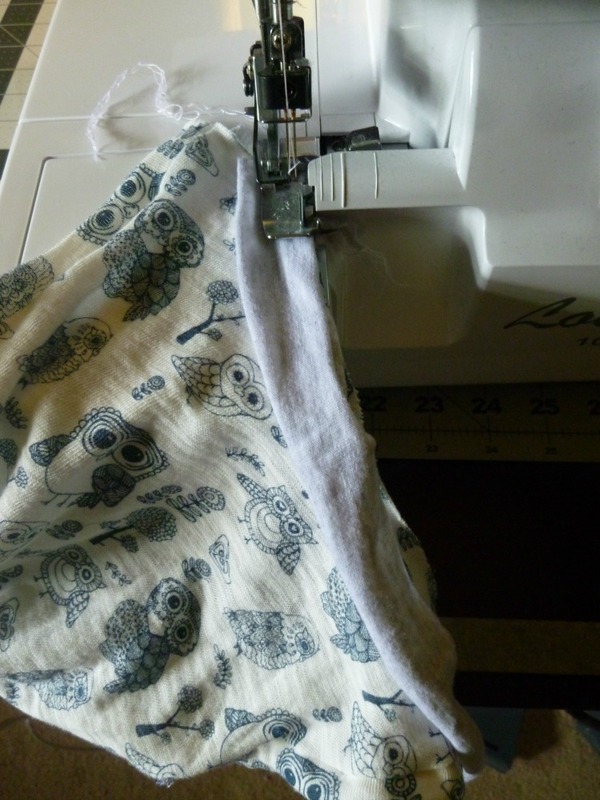 Whether you are sewing in the flat or in the round, be sure to steam press (for real, use steam!) after sewing. Knits tend to ripple, but the waviness almost always comes out with a vigorous steam pressing. Also be careful to stretch the band only, NOT the garment fabric. My personal preference is to sew in the flat (with a serger). I find quarter-marking to be tedious, and my results to be better with flat application. However, I highly recommend practicing both methods, as some situations require an in-the-round approach. This can be done with a wide twin-needle, a coverstitch machine, or two rows of parallel stitching. On the shirt in the above photo, I used my coverstitch machine. Many people will tell you to topstitch knits with a zig-zag or stretch stitch. Confession: I almost never do that. 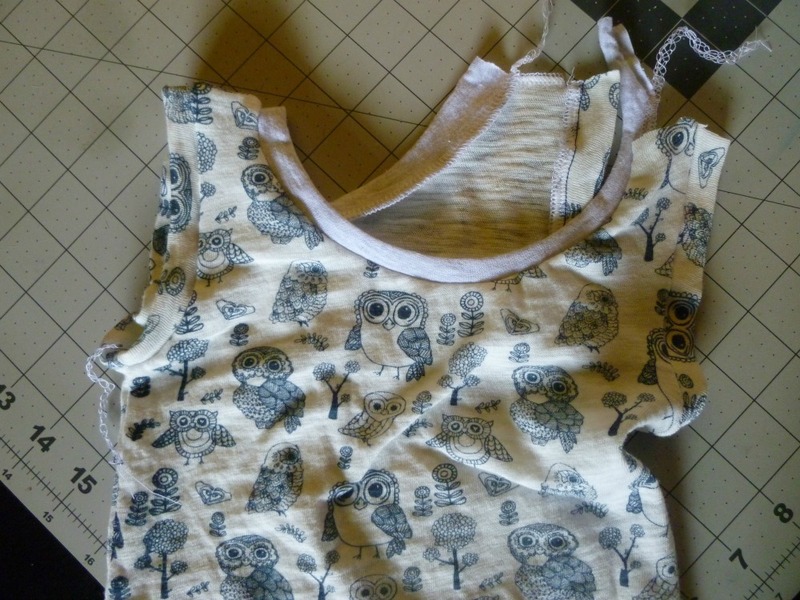 I don't care for how it looks (except on childrenswear) and I have a hard time producing a neat result. I prefer to lengthen my straight stitch and topstitch like I would on a woven. The exception would be with a very narrow opening that must stretch over something much larger, like the hem on a pair of leggings that has to stretch over my big fat foot. 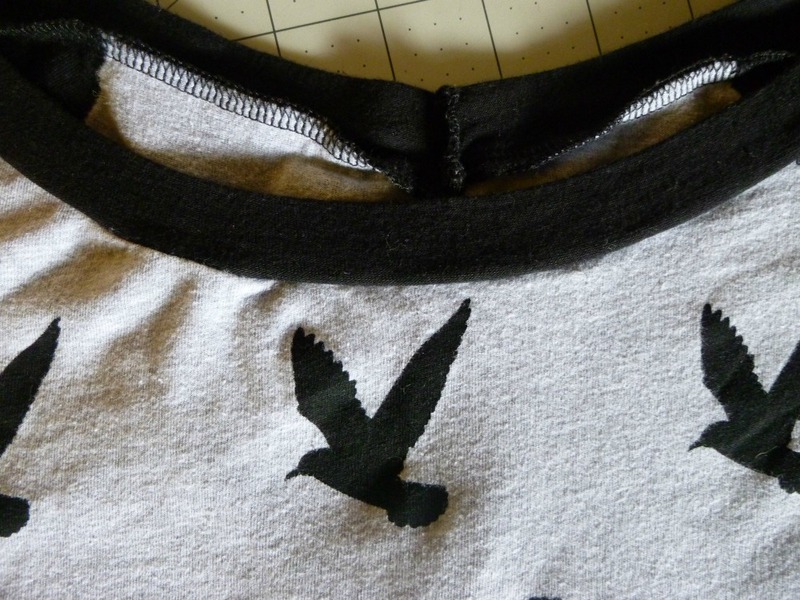 Another exception would be a crew neck t-shirt which has a narrow head opening. 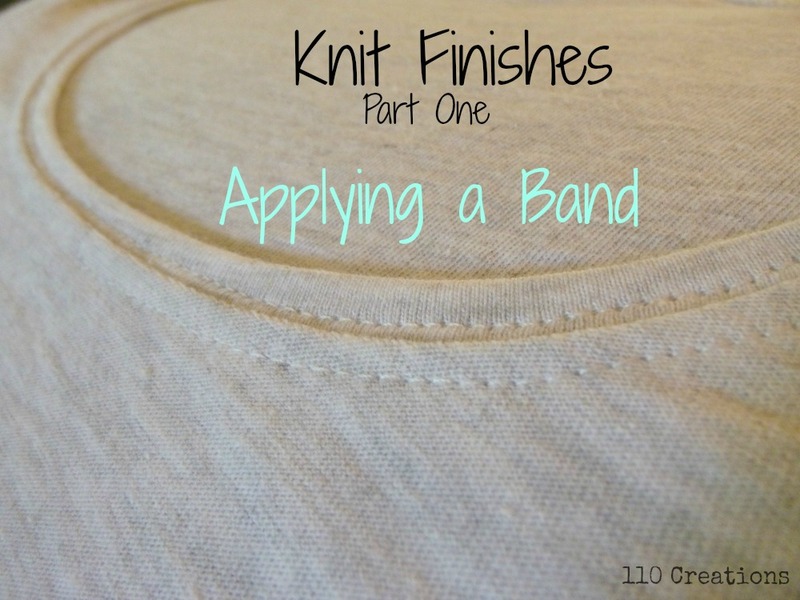 So there you have it: applying a knit band! This is a great technique that I find myself using all the time, whether the pattern calls for it or not. It's much easier than hemming if your knit is slinky and won't behave. If you're ready to give it a try, I recommend the Renfrew, or for kids, the Alex & Anna Summer PJs by Peek-a-Boo Pattern Shop (affilliate link, pattern used in samples above). For a free option, try the Tonic Tee download from SBCC. Check back next week for part two: finishing with a binding. Thank you! 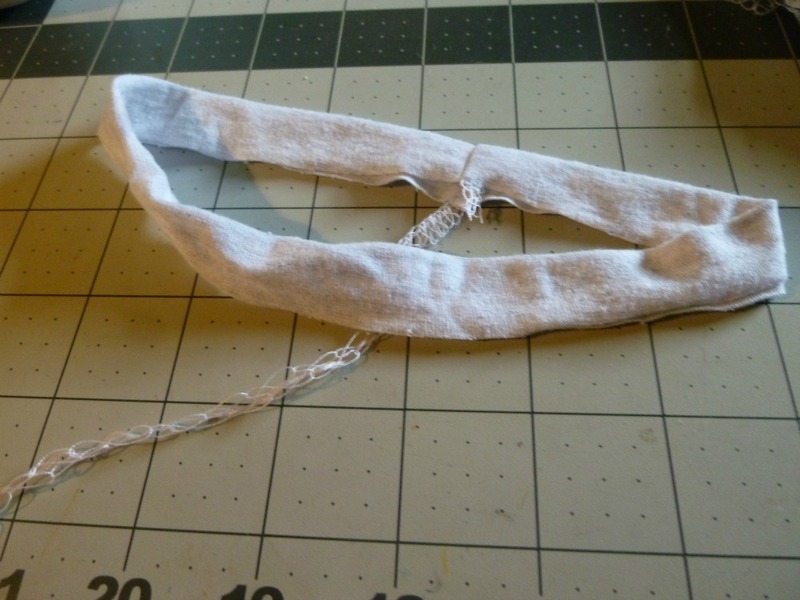 Your photos are clear and I can already see where I went wrong on my first in the flat neckband application. Yay, glad I could help! Thank you for this tutorial series! I always feel unsure when sewing knits, and like you I don't like how the zig-zag stitch looks, it tends to make a mess out of the fabric. Good job on mastering the scary knits! I'm glad I'm not alone on this...my machine also tends to eat the fabric when I use a zig-zag, which is why it never looks pretty. Can you help? Like a twit, I more or less stopped thinking when I cut out my Renfrew (rookie error combined with a fantastic show on telly so I really wasn't concentrating) leaving me with not enough fabric to cut out the neckband (I'm doing the scoop neck version). I do now have plenty of the fabric left but not one that I can get the full neckband length out of (it's a horizontal stripe, so I'm also a bit limited by that in terms of things that will work). How else might I finish the neckline? Thanks for reading and I would love it it you can find the time to reply :). Hi Jenny! My first thought is to use a different fabric that coordinates. I haven't blogged my first Renfrew yet, but for mine I used solid black on the neck band and arm cuffs, with a black-based print for the main body. 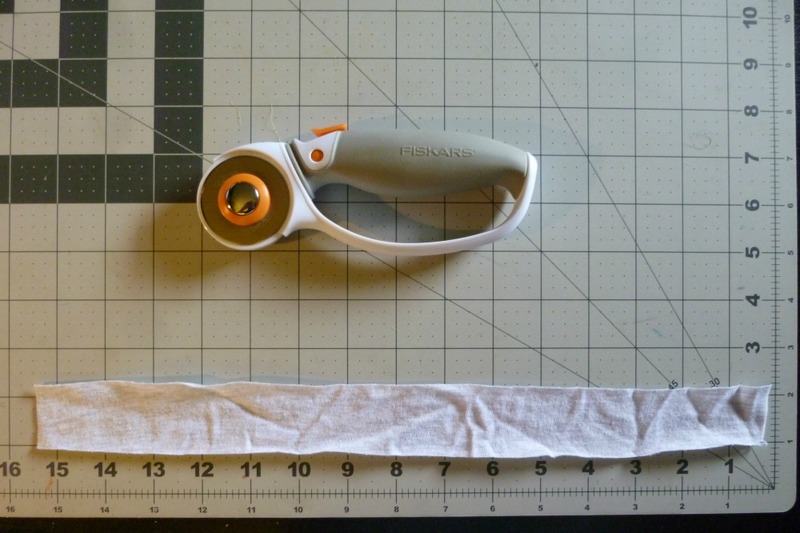 If you don't have anything that coordinates, you could try piecing short lengths together. Do you have enough to go from one shoulder, down the front, then up to the next shoulder? You could cut one piece for the front and one for the back neckline and piece them together so the pieced seams are at the shoulders. If you don't have anything that will work when its visible, then next I'd recommend a bias facing or narrow hem. 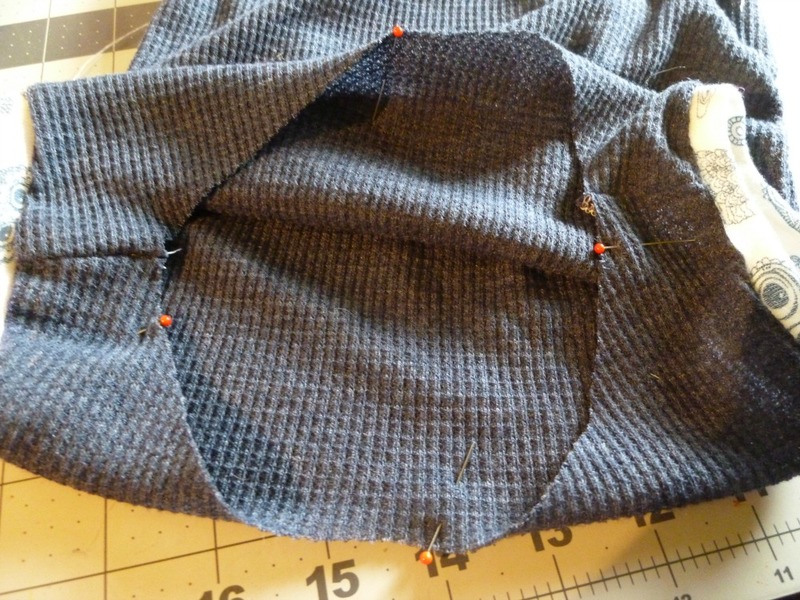 Narrow hems are a pain on knits, but at least you won't need any additional fabric. 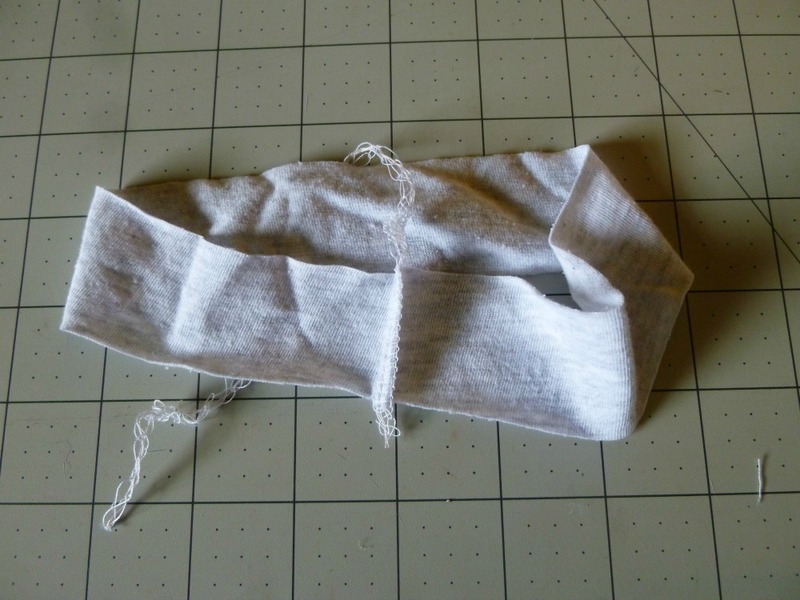 You could also use FOE (fold-over elastic) which works like a binding. I'll be doing a post on all of these techniques in the coming weeks, sorry I don't have any photos to point you towards right now! Thanks! 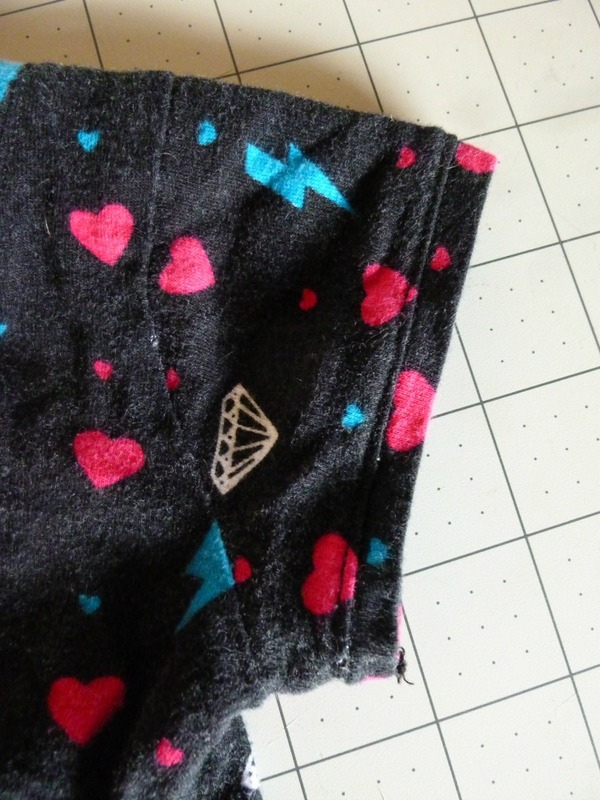 Sadly I don't have any other knit fabric at the moment other than stealing some from my bf :/! I might try rejigging the neckline piece though so that I can have seams at the two shoulders - as it stands the neckline piece is joined at the centre back, so figuring out exactly where the shoulder piece is might be tricky, but I'll give it a go :). Thanks for hte idea! Good luck! And don't forget about all those old t-shirts you're never going to wear anymore...you can cut those up and reuse the fabric! That's a brilliant suggestion - I'm just about to do a colossal wardrobe declutter so I'll see what turns up! Thanks for your advice :).